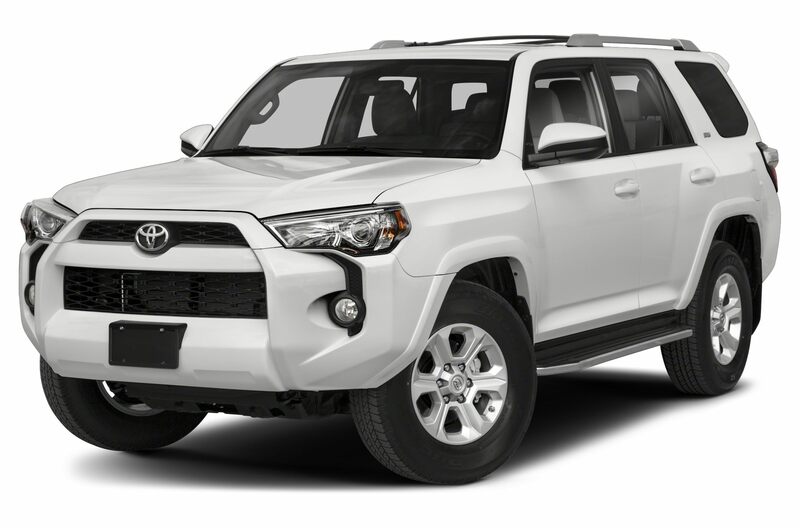 The Toyota 4Runner is a sport utility vehicle that combines true off-road competence with everyday driving comfort, refinement and safety. SR5 and Limited trims are available in rear- or four-wheel drive. TRD Off road and TRD Pro are available in only four-wheel drive and include crawl control and multi-terrain select. All trims are powered by a 270-hp 4-liter V6 engine mated to a 5-speed automatic transmission. Standard safety features include stability control, traction control, 8 airbags and roll-over sensors. Standard features include a rear camera, 6.1-inch touch-screen LCD and 17-inch alloy wheels (with the Limited having 20-inch alloy wheels). Interior trims options are cloth, Softex or leather. SmartKey keyless entry with push-button start, Entune premium audio system with integrated navigation, and power moonroof are available features. The Toyota 4Runner is a carryover for 2018.